Detecting and treating early cracks in teeth will help keep teeth strong and stable for a lifetime. Teeth can crack in different ways and for various reasons. For a stronger and healthier smile, learn here about Cracked Tooth Syndrome. 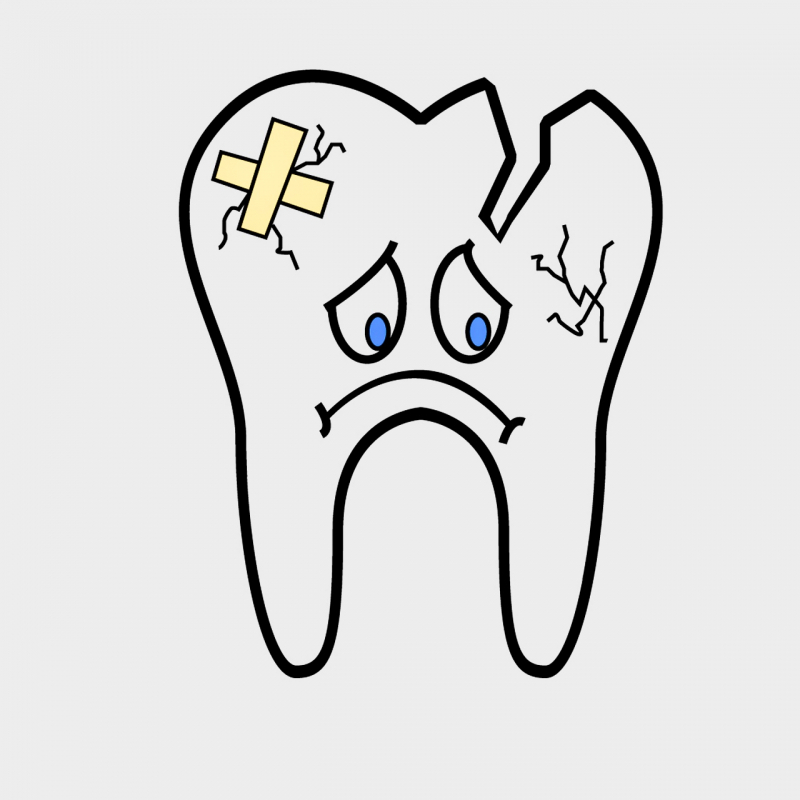 To understand why a cracked tooth hurts, it's helpful to know the parts of a tooth. Tooth enamel, the outer surface of our teeth is the strongest substance in the body. It is even harder than our bones and is designed to withstand heavy biting and chewing forces over a lifetime. Inside the tooth, under the white enamel is a hard tissue called dentin. Inside the dentin is a soft tissue called pulp. The pulp contains the tooth's nerves and blood vessels and extends from the crown of a tooth into the roots of the teeth. When the outer enamel of the tooth is cracked, chewing can cause movement of the tooth pieces and the inner pulp of a tooth can become irritated. When biting pressure is released, the crack can close quickly, resulting in a momentary, sharp pain. This irritation can grow and eventually, the pulp can become injured. 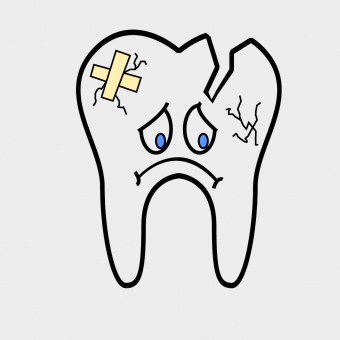 Repeated injury can result in a tooth being sensitive to temperature extremes, pain or even infection of the pulp tissue. Eventually, a tooth may begin to hurt all by itself. Extensive cracks can also lead to infection of the bone and gum tissue surrounding the tooth. Locating a crack in a tooth can be challenging. Often we have to be real 'dental detectives'. Tooth fractures are almost always invisible to the naked eye. Sometimes a crack is below the gum line, making it more difficult to identify. Our dentists will do a thorough examination to check teeth for visible cracks, any tooth wear, the bite pattern, tooth structure, large fillings and gum irregularities. A dental instrument, known as an explorer will be used to feel the surface of teeth to check for cracks. Digital x-rays may be taken but it's likely that a tooth crack will not show on an x-ray. You will be asked to bite down on a plastic test stick that looks like a toothbrush without bristles to help zero in on a crack. One cusp or part of a tooth will be tested at a time as you bite down. If you feel pain on biting or on the release of the biting pressure, that part of the tooth likely has a crack affecting it. Early diagnosis and treatment of tooth cracks is important so that the problem doesn't get worse. Like cracks in a windshield, cracks in teeth often start small and progress slowly. The sooner a crack is detected and treated, the better the chance of saving a tooth. It's important to share any signs or symptoms of cracked tooth syndrome that you may be experiencing with your dental team. What about those crack lines that I see on my front teeth? Fine cracks that affect only the outer enamel are known as craze lines. These cracks occur over time and are extremely common in adult teeth. Craze lines are very shallow, cause no pain and are of no concern beyond their appearance. You may only notice them if the light hits your teeth at a certain angle. Typically, craze lines don't lead to tooth fractures but they can become discoloured over time. Remedies such as tooth whitening, fillings and dental veneers are available. There are many types of cracked teeth such as fractured cusps, split teeth and vertical root fractures. The treatment and outcome of tooth cracks depends on the type, size, location, direction and extent of the crack. Cracks vary from superficial ones, that only effect the outer layers of a tooth such as the enamel and dentin, to deep cracks in the root that affect the pulp. A weakened tooth cusp may break off by itself or the cracked portion may be removed by our dentist. When this happens, usually the pain is relieved. A filling, dental crown, or dental onlay can be made to stabilize the tooth and protect it from further damage. Rarely does a fractured tooth cusp damage the tooth pulp, so root canal treatment is seldom needed. Cracks can extend from the chewing surface of a tooth vertically towards the root. If the crack goes through the tooth enamel and dentin, into the inner pulp of a tooth, root canal treatment will be needed before a dental crown is made to help hold the tooth together. A cracked tooth is not completely separated into two distinct sections. Tooth extraction is needed if a crack reaches below the gum line. Sometimes a crack will go all the way through a tooth and under the bone, in which case it cannot be saved. This tooth would have to be removed and we would discuss options for replacing it. Vertical fractures are cracks that begin in the root of the tooth and extend toward the chewing surface. They show minimal signs and symptoms and may not be noticed until the surrounding bone and gum become infected. Usually these teeth need to be extracted but sometimes the tooth can be saved by removal of the fractured root. avoid tooth decay by maintaining a healthy diet and good oral hygiene...our dental hygiene team can help! Our Lorne Park Dental team in Mississauga is here to help you avoid tooth cracks and to detect and treat any that might occur at the earliest stage. If you are experiencing signs or symptoms of Cracked Tooth Syndrome, please contact us so we can help right away!